Gelato buds are large and super dense with dark forest green nugs with plenty of purple and covered all over in crystals. 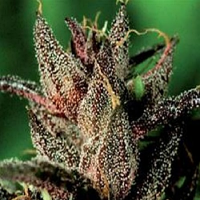 Gelato #41 Feminized Cannabis Seeds by Flavour Chasers Seeds: Gelato is an indica dominant hybrid strain created through a cross of the infamous Sunset Sherbet x Thin Mint Girl Scout Cookies strains. 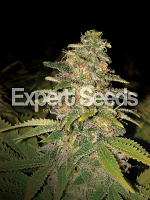 It is infamous for its insanely delicious flavour and hugely powerful effects showing at the very minimum 20% THC. 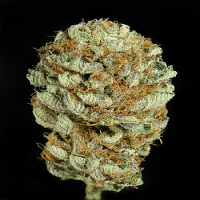 Gelato is an indica dominant hybrid (55% indica / 45% Sativa) strain created through a cross of the infamous Sunset Sherbet x Thin Mint Girl Scout Cookies strains. 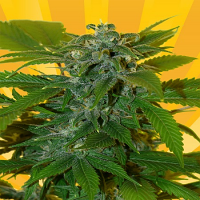 It is infamous for its insanely delicious flavour and hugely powerful effects showing at the very minimum 20% THC. 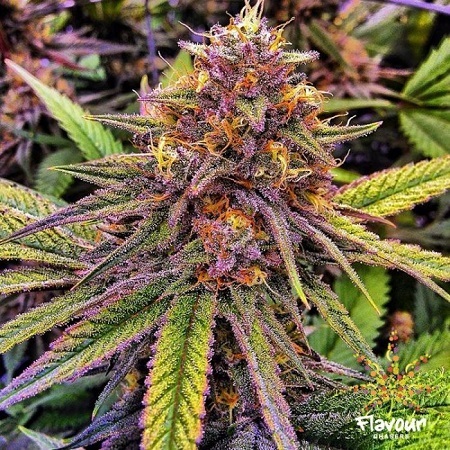 Gelato has a flavour that’s said to be much like a sweet sherbet, with fruity blueberry and orange flavours. The aroma is just as sickly sweet and has a woody effect as the nugs are broken apart and smoked. Although it has a tasty flavour, Gelato is definitely best loved for its effects. 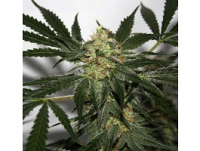 Even with its slight indica dominance, the high is head heavy in nature and won’t leave with couch lock! It starts with a head high that hits you with an uplifted euphoria and a sense of slightly focused energy. As this head high builds a creeping body buzz will slowly build, leaving you completely relaxed and calm with a sense of peace and well-being. These effects make Gelato the perfect choice for patients suffering from muscle spasms, chronic pain, inflammation, chronic fatigue and headaches or migraines. Gelato buds are large and super dense with dark forest green nugs with plenty of purple and covered all over in crystals.